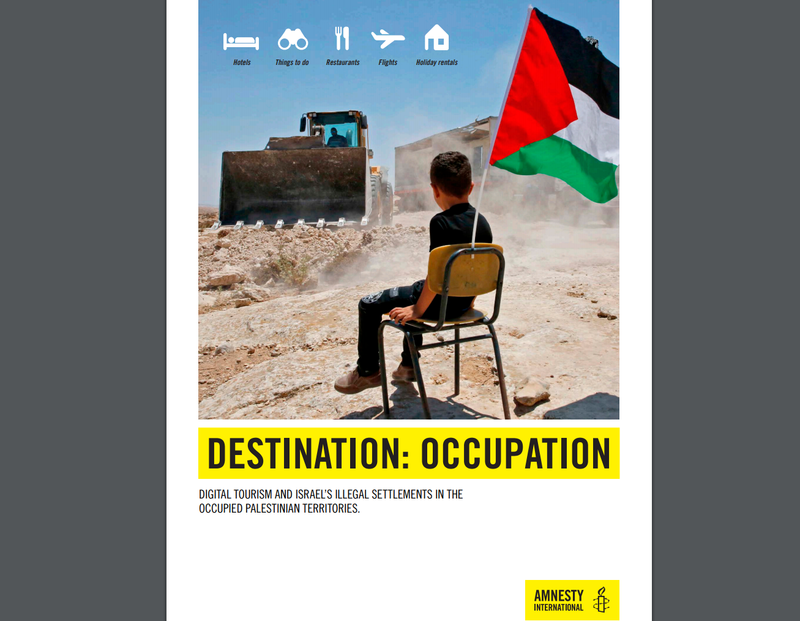 Today, Amnesty International released another incredibly biased report, about how Israeli tourism to Judea and Samaria is somehow a war crime.. The hate that Amnesty has for Jews who choose to live where their forefathers lived, and for the Jewish history that nearly all occurred there, is palpable. This Amnesty report sheds no new light. NGOs keep trying to find new ways to demonize the Jews of Judea and Samaria and the flavor of the year is tourism. Most of the report doesn't even mention tourism but is a rehashed litany of old, ridiculous accusations, such as Israel is violating "the right to adequate housing" - in an area where anyone can drive around and see opulent mansions belonging to Arabs. Within East Jerusalem, the government is developing ambitious plans to build tourism infrastructure in Palestinian parts of the city. Which were Jewish parts of the city 3000 years anyone ever heard of Palestinian Arabs. In 2017, tourist arrivals grew by 25% to a record 3.6 million visitors, bringing in US$5.8 billion. This growth has brought financial benefits both to Israel and to businesses operating in occupied territory. This is because most foreign visitors also enter the OPT. The top three most visited places by foreign tourists in 2017 were all in Jerusalem’s Old City, which Israel annexed in 1967 along with the rest of East Jerusalem. The footnote says that these three places are the Western Wall, the Jewish Quarter and the Church of the Holy Sepulchre. Yes, two of them are Jewish and one Christian. Apparently visiting these places is a terrible crime because it supports Israel's "occupation" of the areas - even in Jerusalem. Did anyone visit the Jewish Quarter or the Western Wall before "occupation"? No - Jordan demolished the old Jewish Quarter and did not let any Jews visit the Western Wall. But why should Amnesty bring that up? They'd rather blame Israel for allowing Jews to visit their own holy sites! Amnesty is saying that they prefer a world where Palestinians will bar Jews from visiting their holiest sites in Jerusalem, Hebron, Bethlehem, Shiloh, Bet El et. al. to a world where Jews have indigenous rights in their historic lands. In addition, gift shops and visitor centres at tourist sites in the OPT sell produce grown and manufactured by Israeli settlers, such as wine, olive oil, handicrafts and cosmetics.Tourists visiting these attractions and spending money in the restaurants and other sites directly contribute to the maintenance and growth of settlements, since businesses are owned or managed by settlers. Oh. My. God. How dare Jews who live in Judea actually make and sell products? Tourists to Jewish holy places must, according to Amnesty, avoid buying a Coke from a Jewish-owned store and instead try to find an Arab-owned store. Sure, the tourists - especially the Jewish ones - might be stabbed for walking into the store, but at least they won't be drinking cola contaminated with Jew cooties. Settler groups supported by the Israeli government emphasize the Jewish people’s historic connections to the region. Egads! Settlers are so evil that they actually have the chutzpah to tell visitors that the Bible mentions their history! Is Amnesty saying the Jewish people do not have a historic connection to the region? It sure seems like they would prefer that this information is buried, because when Jews actually have a connection to their heritage, it makes other Jews and Christians want to visit. And that helps out settlers! The inhumanity! By the way, do tourists in Palestinian Arab areas hear anything about the Jewish history in the land? Would Amnesty ever complain about it if they don't? Of course not. Because the subtext of this report is that the Jewish connection to the land is the real problem. It brings tourists. It is suspect. It is one-sided. The Palestinians are the only legitimate residents and the Jews really don't belong. Amnesty is thisclose to saying that Jews are Khazars and imposters. It is the same message that Hamas and all the other antisemites give. Israel has constructed many of its settlements close to archaeological sites to make the link between the modern State of Israel and its Jewish history explicit. Um, no. Jews moved to these areas to be close to where Biblical events occurred. You can find this secret information out by - gasp - asking them. Amnesty is saying that such connections are nefarious, when they are natural - if you actually give any credence to Jewish history. In addition, websites and visitor maps issued by the Israel Nature and Parks Authority and Israel’s Ministry of Tourism do not show the West Bank’s borders. Instead, the area is marked as “Judea and Samaria”, a term for the West Bank used by the government and settlers and not by Palestinians. This suggests a deliberate attempt to conceal from tourists that these places are in the OPT. How dare Israel use Biblical names instead of the name that Jordanians made up in 1949? Clearly, they aren't interested in preserving Jewish history, but in destroying Palestinian history! Can Amnesty list a single lie that the tour guides are saying? If not, why does it quote someone calling them a liars? The Bedouin in the OPT self-identify as Indigenous Peoples.As such, they enjoy certain special rights over the land they occupy and the natural resources they use to sustain their traditional livelihoods and way of life. Ooooh, they self identify as indigenous? Guess what, Amnesty? - So do the Jews who live there! TripAdvisor also had several listings in Kfar Adumim and the surrounding area. These included two properties that can be rented through its website. The first is a one-bedroom apartment, which boasts a jacuzzi. The second is a two-bedroom family home, with views of Jerusalem and the Jordan Valley. In addition, TripAdvisor provided details and reviews of a hotel, two restaurants and five “things to do”, including the Ein Prat park. Anywhere else in the world, this news would hardly be expected to be featured in a human rights report. Indeed, it is difficult to know exactly how Jews renting out apartments is a human rights violation. But Amnesty knows it is, and it lists dozens of specific places that are tourist spots or apartment rentals - as if it is revealing major crimes against humanity. This, ladies and gentlemen, is antisemitism. Amnesty hates Jews and Jewish history so much that they cannot even stomach the idea that visitors enjoy going to historic Jewish sites. It reveals far more about Amnesty and its supporters than it does about how evil these Jewish "settlers" are for welcoming guests, of all the terrible things they do. 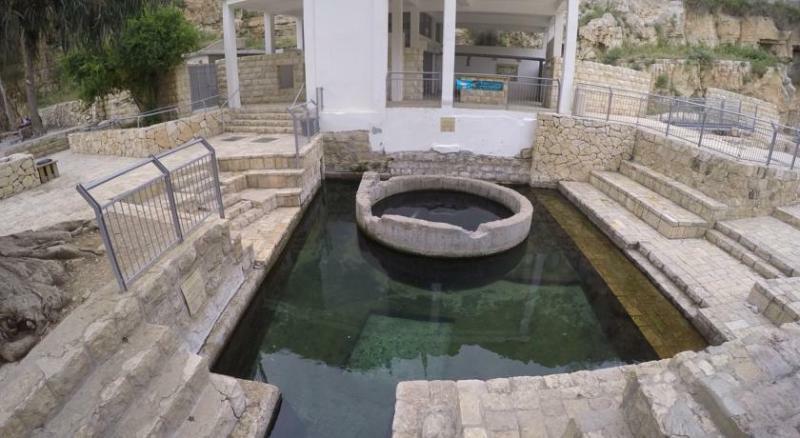 The City of David National Park is already one of the most visited attractions in Israel. In 2017, it received 17.5% of all foreign visitors (some 630,000 people).205 Hundreds of thousands of Israelis also visit the site each year, including many groups of school children, students and soldiers,helping to entrench the settlers’ presence in the area. As with the other sites managed by settlers described above, Elad presents a distorted historical narrative of the area, emphasizing the Jewish people’s roots in the area while excluding those of Palestinian residents. Does Amnesty want the tour guides to describe the extortionists, robbers, and filthy ruffians who were the historical Palestinian Arab residents of the area? OK, let's tell the City of David to emphasize this history. This report is all the proof you need - as if you needed more proof - that Amnesty is not interested in human rights of Arabs so much as they want to strip Jews of their own human rights to even visit the lands of their ancestors, let alone live there.